Every day is a fresh start; don’t measure yourself by yesterday’s troubles. For me, running is a great way to jump-start my day, boost my energy and have a few minutes to plan and prioritize my schedule. Stressed About Buying Running Shoes? : Read this article about a newbie buying shoes! We have all had that first time experience!! Buying Shoes! Holiday Carolling and Food Drive: For the past 8 years I have organized a carol sing and food collection for the Fair Share Food Bank. This year the date will be December 14th. We will meet at my house at 6:30pm. Following the collection, we will have hot chocolate and cookies for the participants. Please RSVP me at mclaughlins1438@gmail.com if you will be joining us so we will have enough treats. Please feel free to spread the word. High school kids can get a couple of volunteer hours! Sunday, December 14 starting at 6:30pm. They will be carolling and collecting non-perishable food items and/or personal hygiene products which will be donated to the Fair Share Food Bank. If anyone would like to join us, please RSVP Niki at mclaughlins1438@gmail.com. We will have hot chocolate and cookies for participants following the festivities at 1438 Redwing Crt. Jackets: After talking with lots of you, there is some interest in group jackets. I have made a couple of inquiries with Sugoi and Louis Garneau about a custom order. Instead of heat press or screen printing they use sublimation – where the design is woven into the fabric. Price point is 99 -130.00 depending on quantities. Minimum order is 12. I am checking in with my graphic artist girl, Athena, to see if she has any time to help out on this. Are any of you graphic artists? If so, let me know!! Turn around time is 4 weeks-6 weeks. I will use Cyclepath as a contact and we may be able to get a discount. Can you please let me know if you are tentatively interested in a new jacket. You don’t have to confirm until you see the proof and try a sample on. Might be time for the ladies with the original jackets to invest in a new one?! It won’t be too flashy, but recognizable! 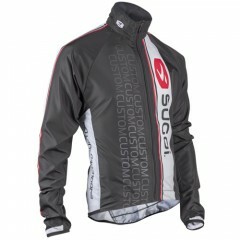 Sugoi Windblock Jacket 99.00 No front pockets, 3 on the back. No reflective piping. Good price. Unisex. Louis Garneau Prolight – 102-134.00 No front pockets, 3 pockets on back, reflective on back, women’s fit . LG Superlight 122- 133.00 No front pockets, 3 on back, reflective on front and back, unisex. 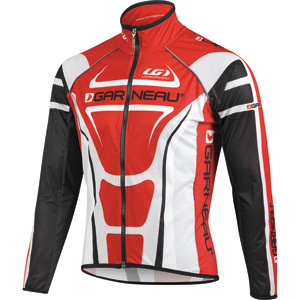 There is a possibility with Louis Garneau to do one design and have 2 different jackets based on fit. Give it some thought and let me know if you might be “in”. I can work on getting samples and artwork done. CPR/First Aid Course: I had to change the date of my course to January 7th. I am registered to do a Emergency First Aid with CPR C + AED course on Wednesday, November 7 8:30-5 through St. John Ambulance. Course # 1-341925105 in case you want to join me. Course will take place at 468 Morden Rd Oakville, ON L6K 3W4. Cost is 109.99. NEW Massage Therapist: Dave Ellis, owner/Osteopath at Balance Point Health Centre is happy to announce the arrival of Amy. Her hours are Tuesdays 9-5 and Wednesdays 11-7 so far. She is still practicing in TO as well. Sam has tried her out and gives her a thumbs up! You can call to book an appointment at (289) 291-0254. Need Running Shoes? 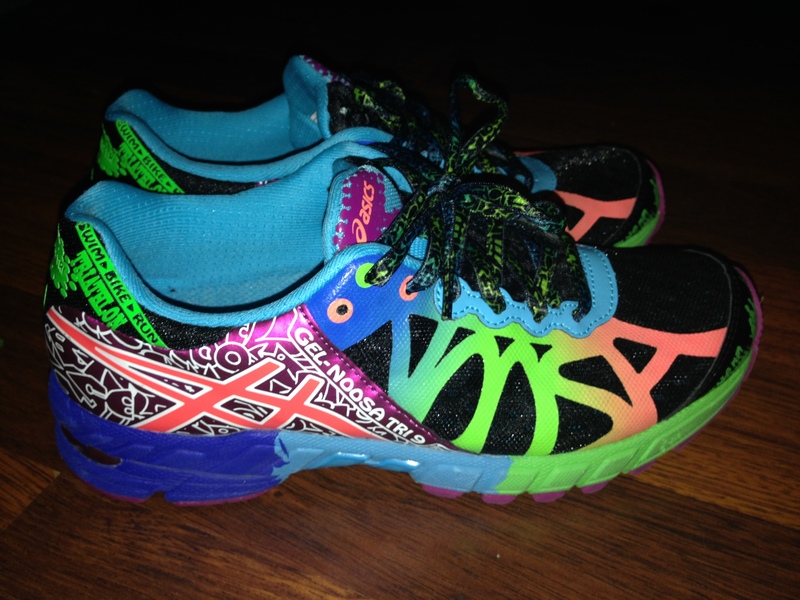 : I have a pair of Ascics TriNoosa 9 shoes size 6 that I need to sell. They only have 4 runs in them, just didn’t work out. Looking for a good home for them! Specs are here: TriNoosa. Asking 100.00. Cute, aren’t they! Send me a note if you are interested – mclaughlins1438@gmail.com. Technical Long Underwear: The Joe Fresh technical long underwear is now available at Superstore on Dundas. I believe they are 12.00 each – way cheaper than Under Armour or Nike Pro Fit!! Shop early as the sizes get picked over. Make Yourself Visible: With the shorter days and darker evenings, it’s important to make sure you are highly visible to drivers. Some ladies have picked up some inexpensive reflective bands and lights at Dollarama! 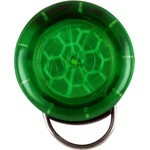 You can pick up this little light by Filzer at MEC for only 9.25. It has a replaceable battery. 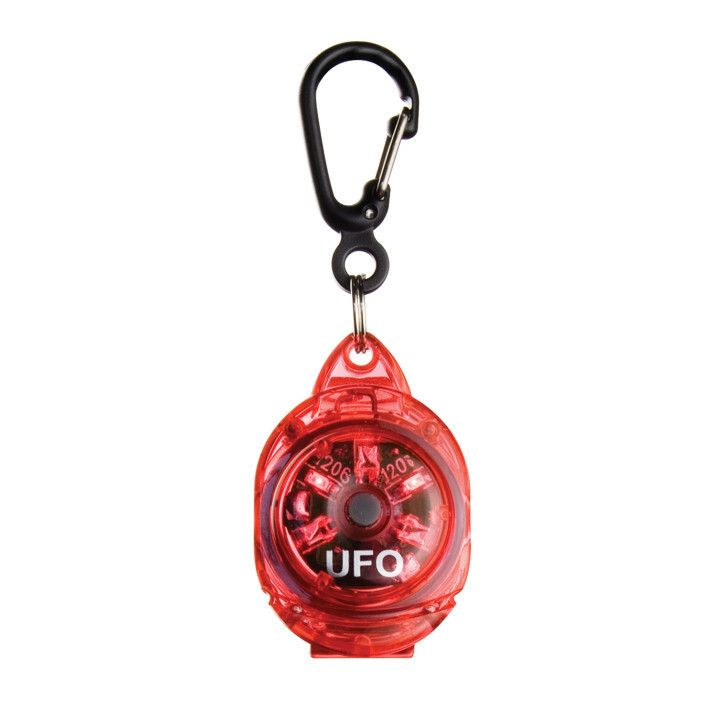 Or try this new shoe light for only 3.75! They also have a good selection of reflective bands. 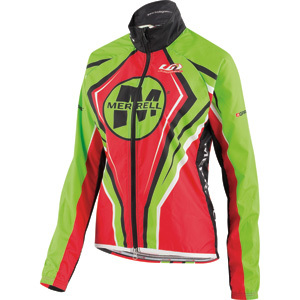 When choosing new gear, opt for clothing that has some reflective trim on it as well. Here are some other options from the folks at Road ID High Visibility Gear Thanks Jo, for info. Quotes from 2014 Runner’s World Daily Calendar: 1) Eating small, frequent mini-meals that include a lean protein, complex carbohydrates and monounsaturated fat (like almond butter on whole wheat toast or guacamole and carrot sticks) helps stabilize your blood sugar. This will keep your metabolism and digestive tract humming and will make it easier to resist unhealthy snacks. 2) Stress can be distracting. When stressed out, run on a flat, well it surface and try to pick a route you find calming. Run in a place that will help you to be present in the moment. Another option, hop on a treadmill and crank your iPod. 3) Mix in some faster running to keep things interesting and enhance your fitness. Try the “negative split run” to start speed work. Pick an out and back route. Run for say, 20 minutes, then turn around and try to cut one or two minutes from that time coming back. 4) Stay motivated by making a date to meet someone for a run. There’s no wimping out when someone is waiting. Winter group runs are another way to make a commitment through the colder months.